Scroll Down to FILL OUT THE FORM TO APPLY! Watch what the nationals finalist get to do during the 7 days in Toronto at the Miss Teenage Canada National competition ; It’s more then just a pageant- Its a week of fun! 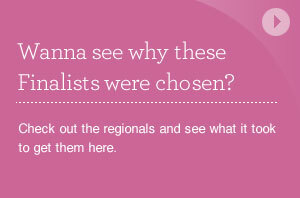 Please fill out the form to apply to enter a regional competition in your province. Immediately upon submitting your application, you should receive some important documentation and further instructions by e-mail. 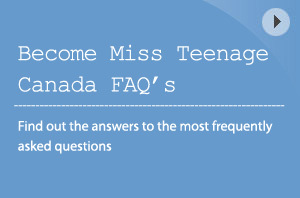 If you do not receive this, email apply@missteenagecanada.com and someone from MTCW Inc. will be in touch to follow up with you shortly. 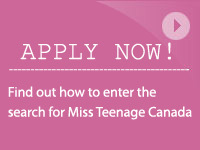 If you get a notification that your e-mail is already in use please e-mail apply@missteenagecanada.com and request the forms. Please note: you must include a photograph to complete this form. Check out what being a title holder is all about: Attending events – Media interviews and helping out in the community.